The choices you make at the start of your career are among the most important choices you’ll ever make. We therefore understand why you need to be sure about every single aspect. 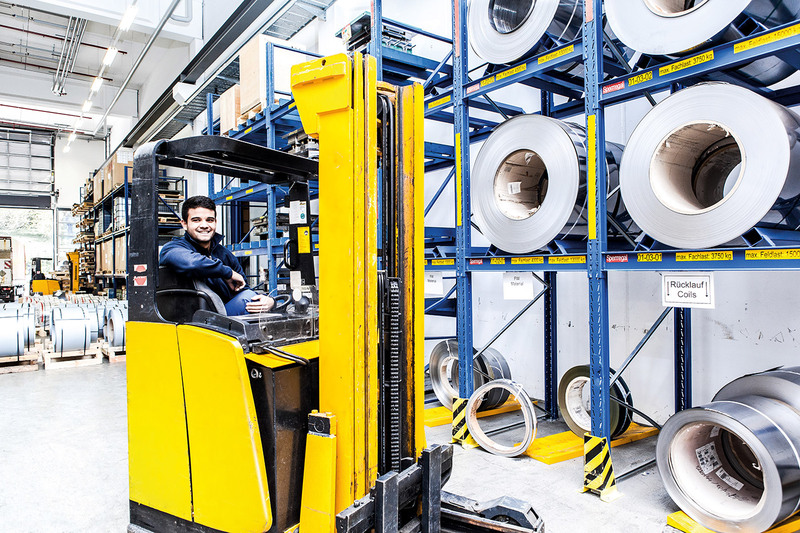 And a vocational apprenticeship with ElringKlinger can offer you that certainty – thanks to its highly practical focus, our stringent quality standards and our international focus. It will give you skills in new techniques and experience in a wide variety of interesting tasks, not to mention a close working relationship with other apprentices and our existing staff. Whether you’re looking for a technical or a commercial apprenticeship we can offer you a range of options. All of us have our own particular talents and interests. Some of us enjoy manual tasks and are interested in technically oriented roles. Others have a knack for organization and are more suited to office-based work. Whichever role you prefer, we have the right apprenticeship program for you. 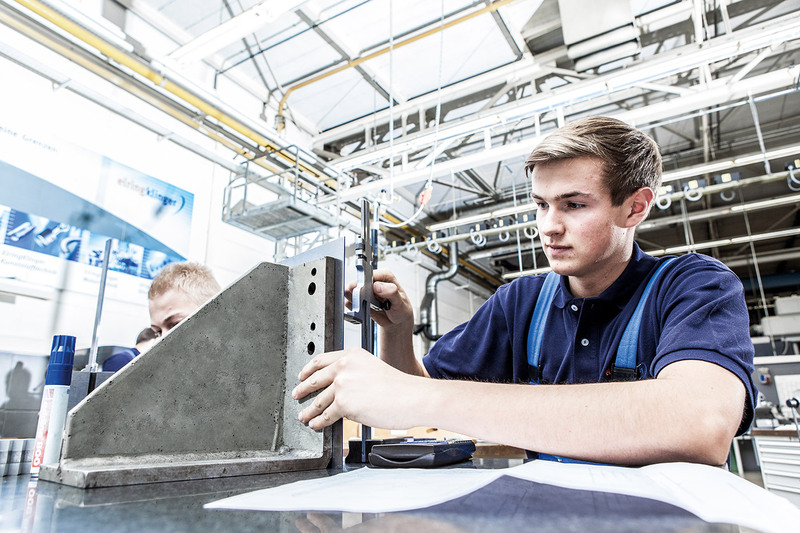 And what’s more, we offer vocational apprenticeships at every one of our nine locations in Germany. Machine tool technicians are skilled workers who make, maintain or repair tools. Their job involves dealing with very complex plastic molding and metal bending and stamping tools for assembly line production of, for example, plastic and metal components. Industrial engineers produce, install and reconfigure components and component assemblies for machine and production equipment. They also carry out repair and maintenance tasks. Technical product designers create and modify 3D data sets and documentation for individual components and assemblies on the basis of design and technical specifications. In doing this, they take account of manufacturing procedures and material properties. Process mechanics are responsible for the operation, monitoring, control, maintenance and operation of equipment and machine groups that process raw materials. Electronics technicians for production technology install, maintain and repair electrical operating, production and process equipment ranging from energy supply switch and control systems to communication and lighting technology facilities. Systems integration IT specialists help to provide customer-specific IT and communication solutions. To do this, they integrate hardware and software components with complex systems. They also advise and train up users. Warehouse logistics specialists are responsible for receiving incoming consignments, checking them and storing them properly. They put together deliveries and route plans, and load up and dispatch consignments. They are also involved in optimizing logistics processes. Industrial management assistants are involved in virtually every commercial activity from purchasing, corporate communications and sales to HR and accounting. Apprentices on this program tend to carry out a broad and varied range of duties. Are you eager to play a small part in developing the car of the future? Then grasp the opportunity and take a step into the flexible careers of tomorrow by opting for a dual study program at ElringKlinger.